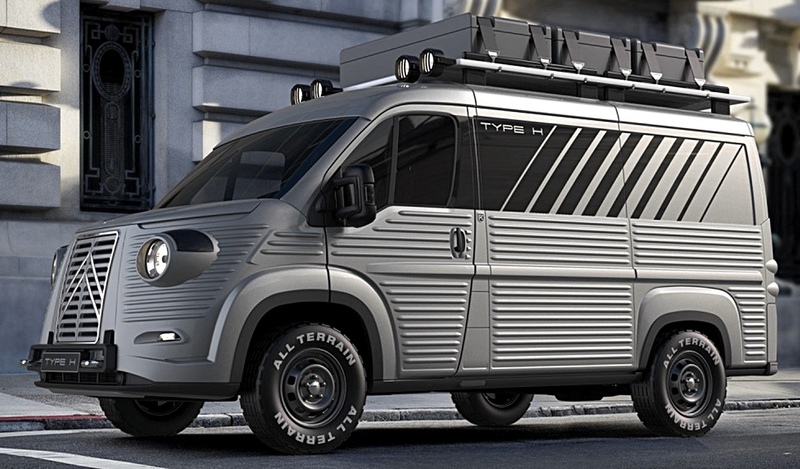 FANS OF THE UGLY-BUT-NICE Citroen H van have something new to look at. It’s a full-size limited edition project from Italy, which provides food for thought for anyone interested in model conversions. SMN report: The nouveau Type H was dreamt up by two designers, Fabrizio Caselani and David Obendorfer. Instead of the old Citroen H-type van, they have based their idea (header, below) on a modern Citroen panel van, a currently-produced model similar to the Ford Transit. The ‘new H’ is actually a sophisticated plastic kit, with corrugated moulded sections that bolt directly onto the new body. 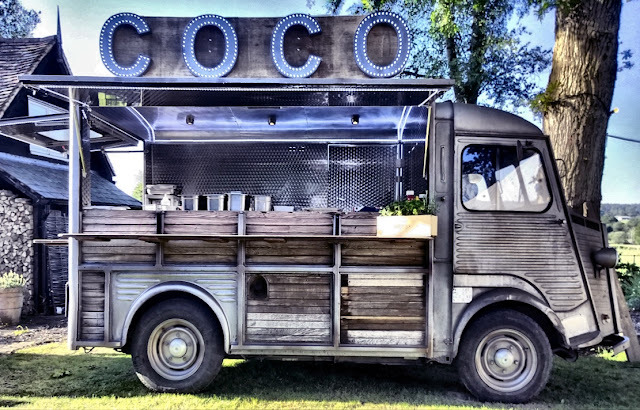 Caselani and Obendorfer have come up with various styles (below) that include a campervan and (of course) a food truck. The new design is well timed, as it’s 70 years since the H-type went on sale in 1947. Caselani and Obendorfer reckon their work is an accolade to the original H designer, the Italian Flaminio Bertoni. We don’t think the style of this new version aces the old H-type (though it's handsome enough) but the new model should be a lot cheaper to run, and offer state-of-the-art reliability into the bargain. Owners of the H-nouveau should expect to nudge past 100 mph, and the modern engine should provide fuel economy more than double that of the old one. The manufacturer Caselani is making just 70 of each variation. For model makers, the whole thing is really only food for thought, as to the best of our knowledge, there is no kit of a similar Citroen panel van available for kit-bashing purposes. 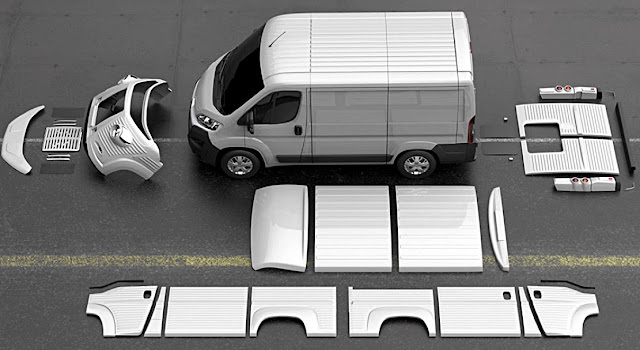 However, taking the general idea, there are plenty of Ford Transit kits that could form a good base to use as a launch pad. Meanwhile, model fans of the original H-type can stick with the galaxy of ideas spawned by past and present owners (below). Lovely! 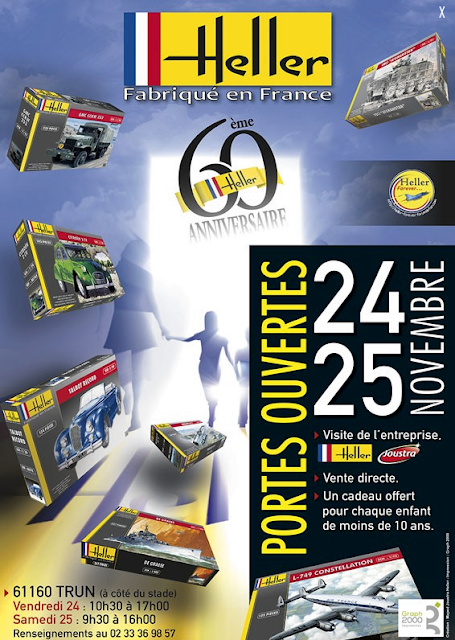 And here's an invitation (below) to visit Heller of France, which of course includes a Citroen H-type in its range. 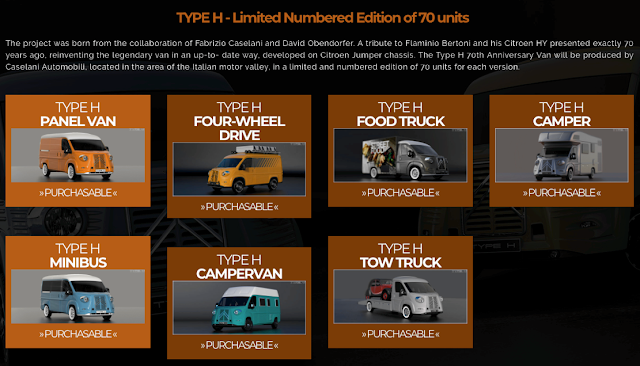 Click here to visit Caselani, the Italian maker behind the new-H Citroen truck. Click here to visit Heller of France. Click here to visit David Obendorfer. There's plenty of interesting stuff, including his concept for an updated VW Transporter.